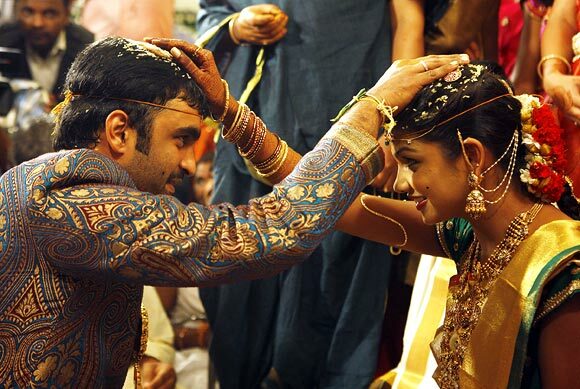 Telugu comedian Brahmanandam's son Goutham tied the knot with cinematographer V Srinivasa Reddy's daughter Jyothsna in Hyderabad, on the auspicious day of Dussehra on October 24. Click Next to see pictures of the grand wedding. The young couple fell in love a few years ago, and decided to make their relationship official. Goutham made his acting debut with Pallakilo Pelli Koothuru in 2009. He was seen in the romantic film Vaareva last year. 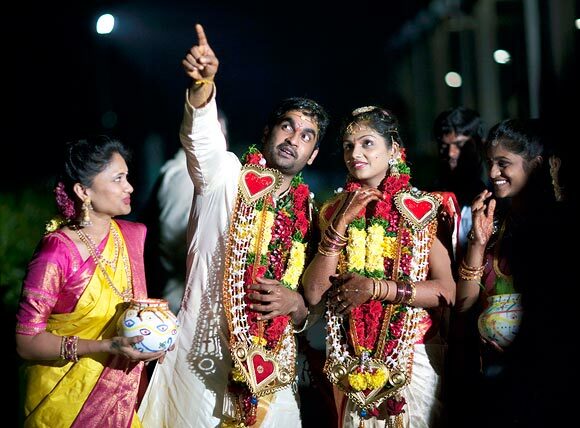 Brahmanandam, who has featured in more than 1000 Telugu movies, looked happy as he posed for a picture with the bridal couple, his wife Lakshmi and his younger son Siddharth. 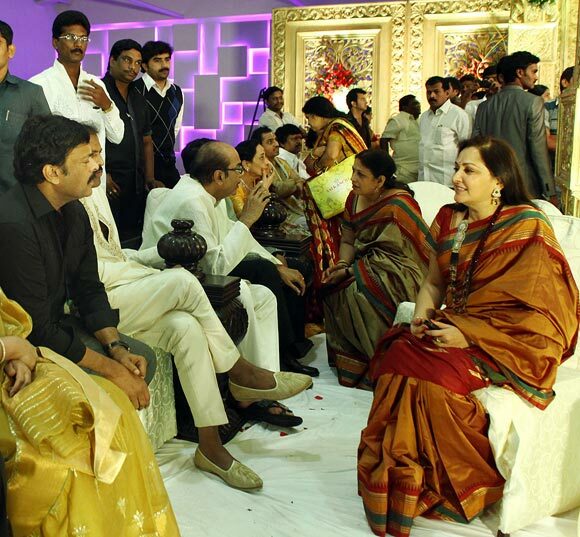 Superstar Chiranjeevi (in black) caught up with actress and MP Jaya Prada at the wedding. The newlyweds share a private moment at the cermony.